Most of the time, your roof will do its job without much hassle. 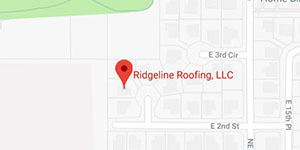 As long as you do occasional maintenance and periodically have an inspection done by a roofing contractor, your roof typically won’t have serious problems for decades. However, even a roof that’s been doing well for as long as you’ve been at the property can have issues when a major storm comes through. Depending on the type of storm and the roof type you have, there are a couple of things you can expect, and you may be able to mitigate any possible damage by taking precautions so you won’t need a roof replacement. Different storm types cause different damage? In Vancouver WA and the metro area, typically the only kinds of storms are wind and rain storms. There’s usually a few windstorms every season, and these can blow away shingles or parts of your roof that are coming undone. Rain is also a weather constant, and the continuous pounding of rain can get into any cracks and crevices on the roof, so the less of those you have the better! On rare occasions, a snowstorm happens upon the area and stays for an extended period of time. While normally not an issue in the region, snow that piles up and stays on the roof adds weight and therefore stress, and can even collapse if it gets to be too much. Is there any way I can prepare my roof for a storm? 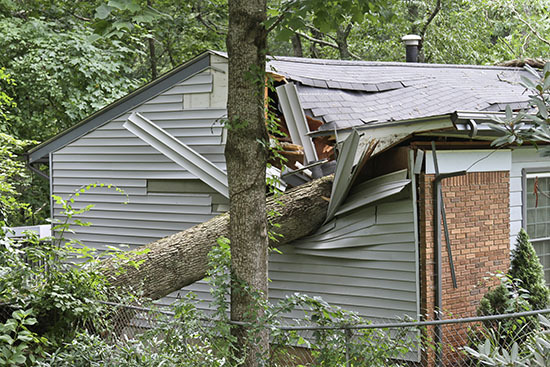 While there isn’t much you can do safeguard your room from a 60-foot pine that decides to fall over, there are some ways that you can prepare for a storm and possibly stop any major damage. Trim any nearby tree limbs you can reach. Cutting these limbs on your terms means that they can’t fall down from a storm and blow on your roof. Cleaning out your gutters will make sure that they can do their job when you need them most. The water and snow can find a path off of your roof instead of building up there. If you have any loose shingles, a quick nail down will stop them from blowing away. Secure whatever you can that is loose in your front yard. Garbage cans and other large, lighter objects are common things that can cause damage not only to your roof, but other parts of your home too. What if my roof still gets damaged? Sometimes, your roof can get damaged due to something beyond your control. If this happens to you, call your local roofing company to come and fix what they can. An honest company will give you a fair price as soon as they know what they’re dealing with and will stick to it. The quality of your roof repair is also important, both in material and craftsmanship. Make sure your roofers will do a repair job that will last so you don’t have to deal with the same situation when the next storm comes!